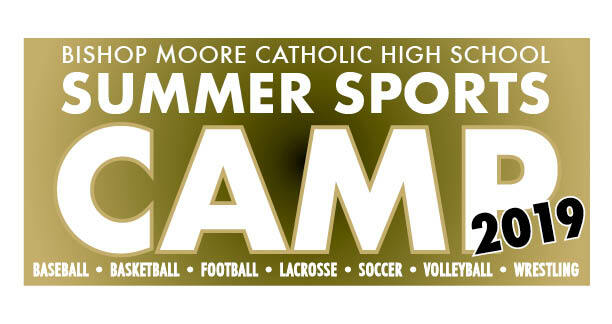 Bishop Moore Athletics offers summer sport camps for three weeks beginning July 8th. 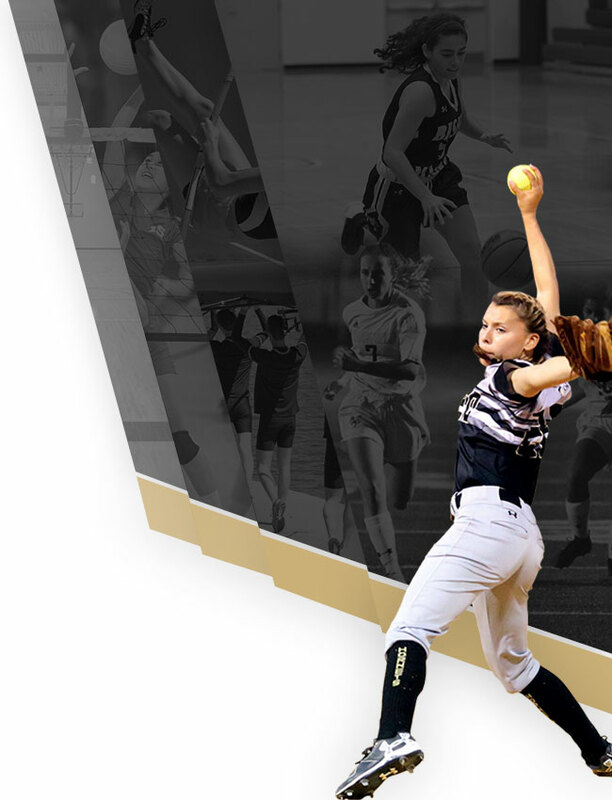 Join in the fun and attend one of our twelve camps offered. 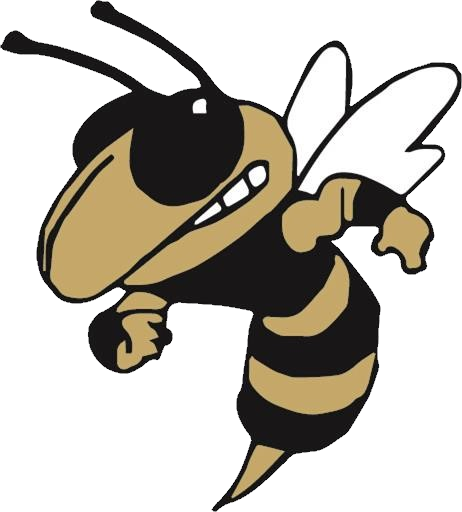 All Bishop Moore students participating in our Band & Color Guard Programs, The Black & Gold Brigade, are required to attend our Summer Camp the last two full weeks of July. 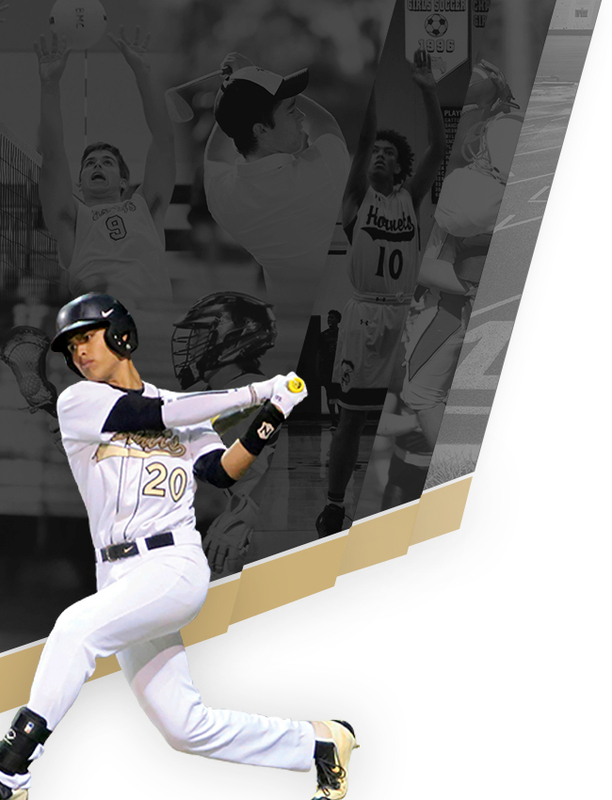 You will also need to complete your profile on AthleticClearance.com before you can participate. 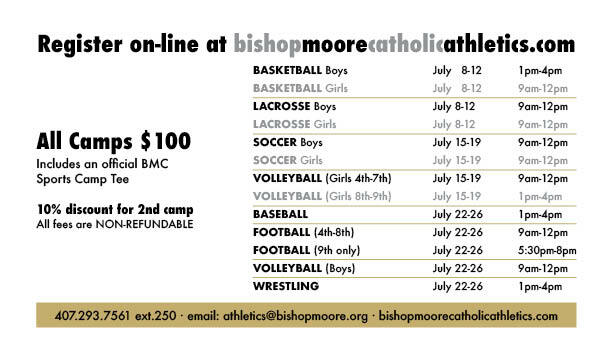 For more information, please contact Mr. Barker at barkerj@bishopmoore.org.